Heskin Martinez Law Group. Christine not only serves in the role of Paralegal, she also specializes in investigative and forensic accounting for the firm. How does this help the clients of the Heskin Martinez Law Group? Christine ensures that the client achieves a fair and equitable settlement or judgement by making sure his/her spouse is disclosing correct and complete financial information. Her attention to detail allows her to identify “questionable” financial transactions and write-offs, hidden bank accounts and more. 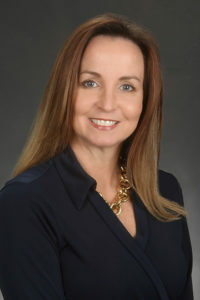 Christine graduated from the University of Miami with a B.B.A., Bachelor of Business Administration in Accounting. She was raised in Miami, has lived and worked overseas, and now calls Orlando home. Christine is the proud mom of two daughters.